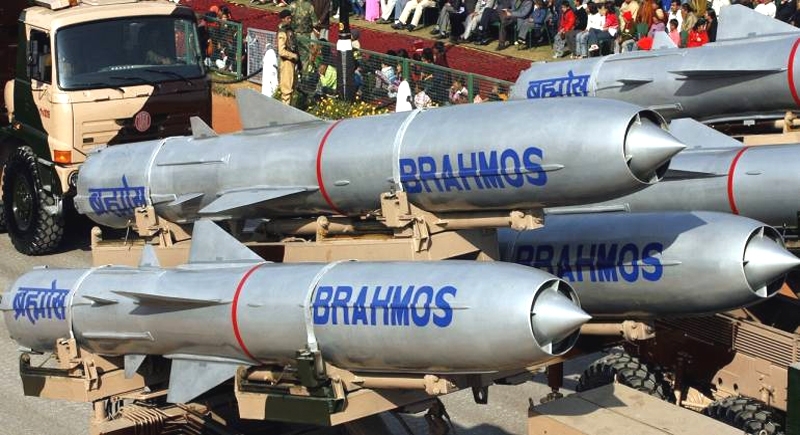 Odisha, May 21: Tick marking another achievement in the list of success, India has successfully test fired the Indo-Russian joint venture BrahMos supersonic cruise missile from a test range along the Odisha coast to validate some new features. The trial was conducted to validate its "life extension" technologies developed for the first time in India by DRDO and team Brahmos. The missile was test-fired from a mobile launcher stationed at Launchpad 3 of the Integrated Test Range (ITR) at Chandipur as informed by the Defence Research and Development Organisation (DRDO) officials. Defence Minister Nirmala Sitharaman congratulated DRDO scientists and team BrahMos for the successful launch of Brahmos missile with new technology today. The successful test will result in huge savings of replacement cost of missiles held in the inventory of the Indian Armed Forces. The test firing was conducted in two-stage missile the first being solid and the second one, a ramjet liquid propellant that has already been introduced in the Army and Navy, while the Air Force version had witnessed the successful trial, the DRDO scientists said. India successfully launched the world's fastest supersonic cruise missile from a Sukhoi-30 MKI combat jet for the first time against a target in the Bay of Bengal in November 2017.